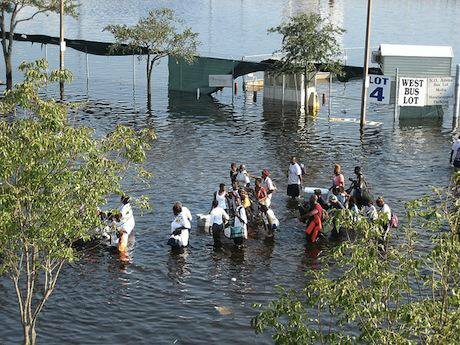 Hurricane Katrina 2005. Flickr/NASA. Some rights reserved.As images from the aftermath of Hurricane Katrina are replayed around the world, they are still as shocking as they were ten years ago. Many of us watched in disbelief as we saw how the world’s richest and most powerful state seemed unable, then unwilling, to rescue its own citizens – sending in trigger-happy troops who shot at the hurricane’s victims instead. Coming so soon after the Iraq war, the hapless Bush administration appeared unable to respond to any crisis without resort to the military. As the waters receded, America’s deep-seated racism and inequality was laid bare for the whole world to see. 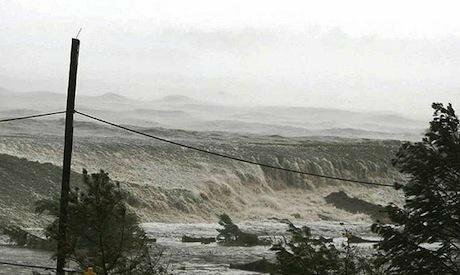 Storm surge from Katrina. Flickr/AlienGraffiti. Some rights reserved.Two years after Katrina, in 2007, the Pentagon released its first major report on climate change, warning in no uncertain terms of an “age of consequences” in which, amongst other things, “altruism and generosity would likely be blunted.” This was followed up a year later by an EU security report that talked of climate change as a “threat multiplier” that “threatens to overburden states and regions which are already fragile and conflict prone.” It warned that this would lead to “political and security risks that directly affect European interests”. Over the next few years, the national security strategies of the countries across the global north would be rewritten to offer the same self-interested and dystopian vision. 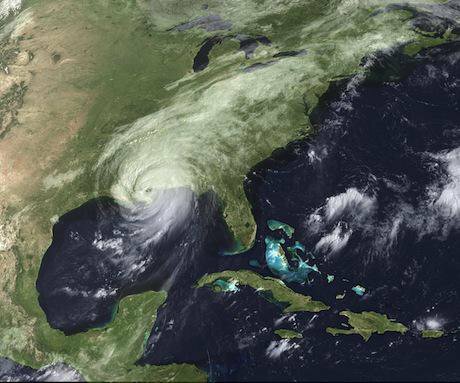 Hurricane Katrina, 2005. Flickr/News Muse. Some rights reserved.Further afield in Brazil, there were reports this summer of authorities mobilising troops to defend water infrastructure amid an ongoing drought in the megacity of São Paulo. Absent credible plans to conserve water and tackle some of the root causes of water scarcity such as deforestation, journalists reported that approximately 70 soldiers were involved in exercises to prepare the utility for an uprising, with 30 men with machine guns stationed in the facility’s canteen. 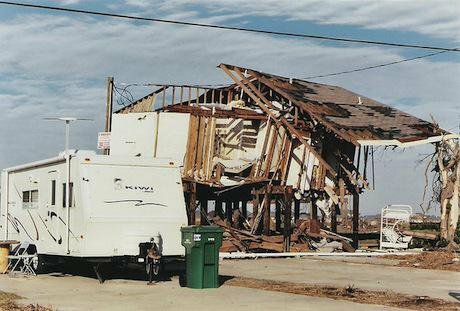 Damage from Katrina, 2005. Flickr/Loco Steve. Some rights reserved.The implications of a militarised and profit-making approach to climate adaptation and crisis-management are very disturbing – and need to be taken more seriously by anyone concerned with environmental justice, civil liberties and democracy. Ben Hayes and Nick Buxton are editors of the forthcoming book, The Secure and the Dispossessed: How the military and corporations are shaping a climate-change world (November 2015) available for pre-order at Pluto Press.